Little M was born just one month before Father’s Day last year, leaving me with very little time to prepare a lovely gift for hubby for his first one as a parent. Fortunately, Little M was a considerate soul and made sure that I was used to being awake in the early hours of the morning as she would only sleep on me. 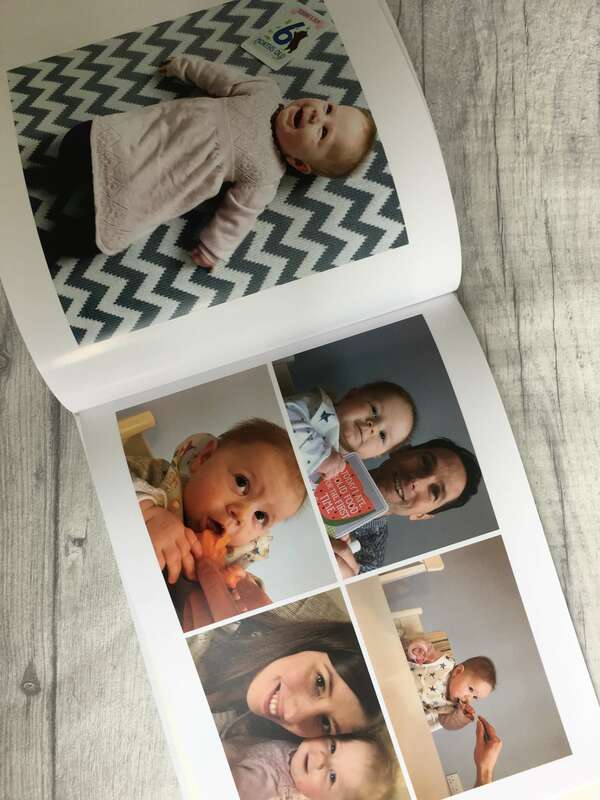 As a result, at 3am one morning I ended up creating a photo book online of ‘Little M’s First Month’; a selection of photographs from our very first as a family of three, to the day that I placed the order. Hubby loved it and I’m so pleased that I went to the effort of making it; we still look at it now and Little M likes to look at the pictures too. I’m not sure if she realises that all of the babies that she’s look at are, in fact, her, but she smiles her way through it nevertheless. 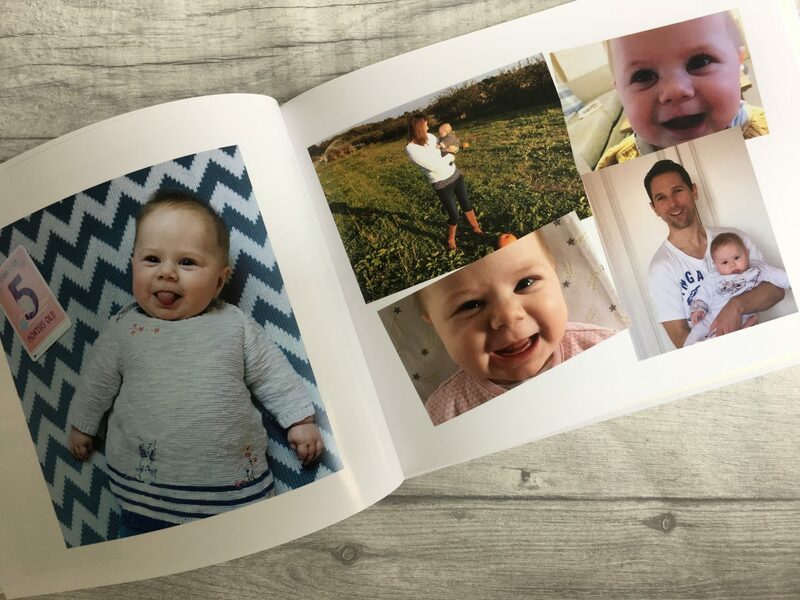 So, when Snapfish asked me if I’d like to take part in their Father’s Day campaign this year and create something from their selection of personalised Father’s Day gifts, I jumped at the chance. 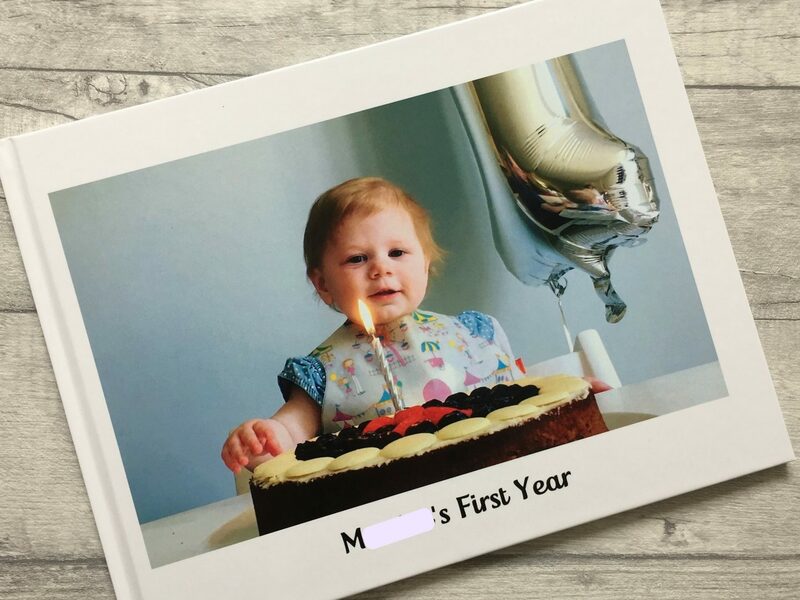 Given that Little M has just turned one, I thought it would be nice to follow on from ‘Little M’s First Month’, with a photo book of ‘Little M’s first year’. I started off by going through my extensive photos collection, selecting all of my favourite photographs from the last year and uploading them to Snapfish. This turned out to be a ridiculous idea as I then had over five hundred photos to sort through, and working out how to arrange them in a photo book seemed like an impossible task. So, I went back to the drawing board, literally. 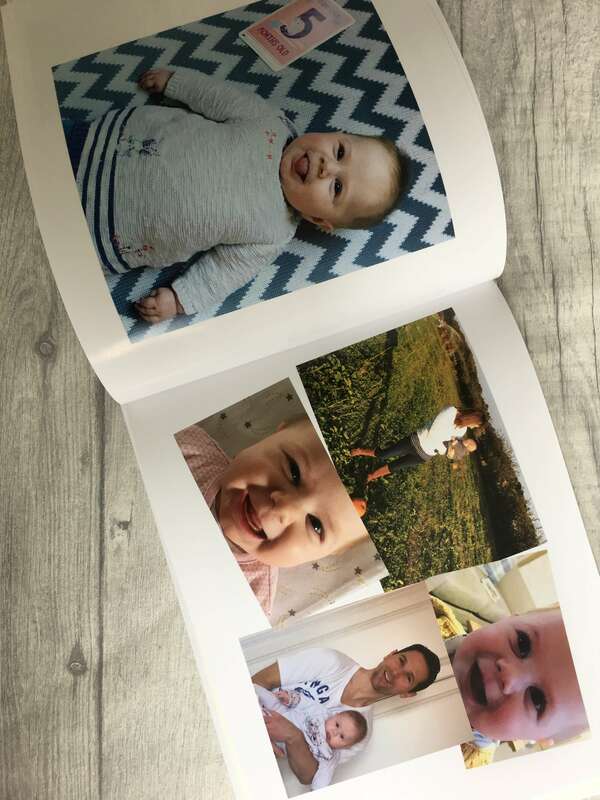 The Snapfish website has a brilliant photo book builder where you can plan the layout of each page, and the front cover. I used this to plan out my photo book. First, I decided that I wanted the very first page to be a quick montage of photos from Little M’s first month. I didn’t want to take up too much space with this, as obviously we already have the photo book that I made last year. Then, I decided that the final, single page was going to be of Little M on her birthday. 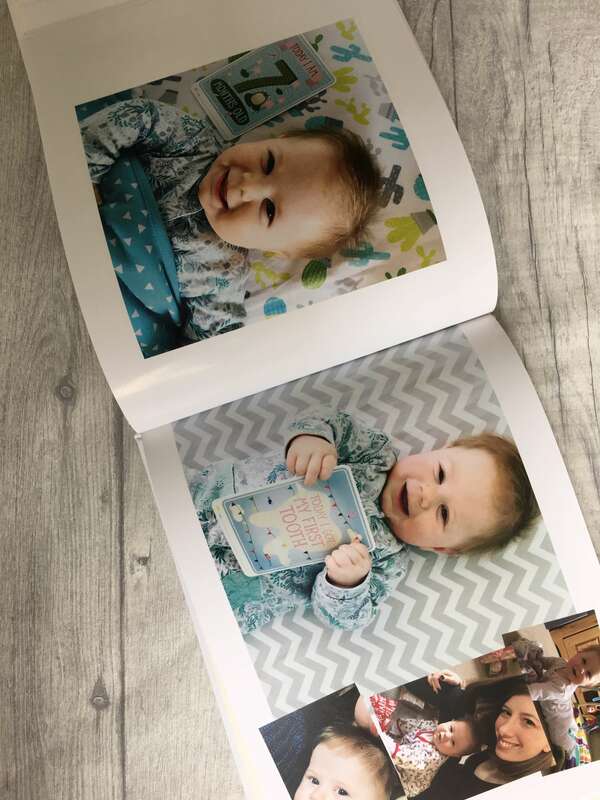 Finally, I would have a double page spread for each month in between, with Little M’s milestone photo on the left hand page, and a selection of photos from that month on the opposite page. I used a variety of the suggested layouts that Snapfish provide, to change each page up a bit so it didn’t get too samey, but there was still a theme running throughout. I also made sure to use my Instagram milestone photos on each left hand page, as they all have the same filter, which gave a sense of cohesiveness. The Snapfish photo book builder also gives a huge range of colour palette options for the backgrounds, but after trying out about twenty (I’m not even joking! ), I decided to stick with a simple, crisp, white background on each page. There are also decals that you can add especially for Father’s Day (like ‘world’s best dad’ and ‘play time with dad’), if you want to. So many options! 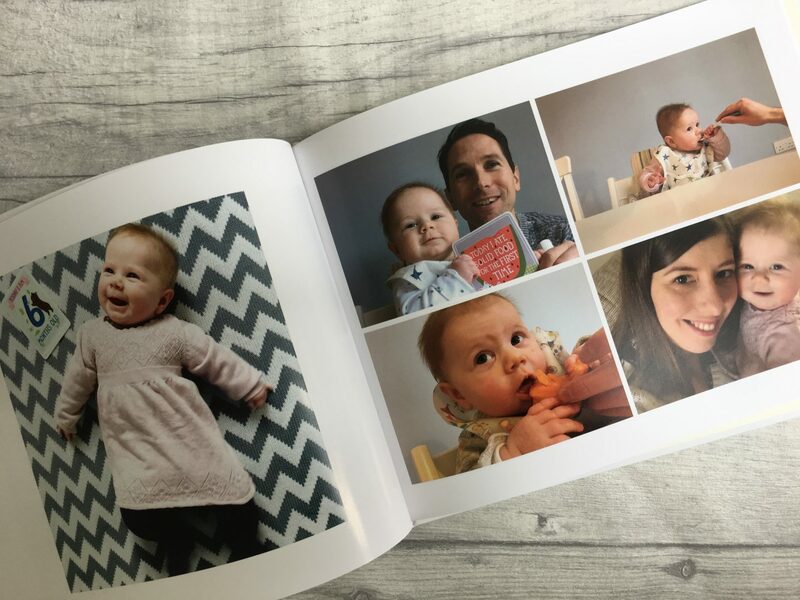 Once I’d decided on the layout for each page, I then knew how many photos I needed and whether they were square, landscape or portrait, which made going through my extensive photo collection and selecting images a lot easier! 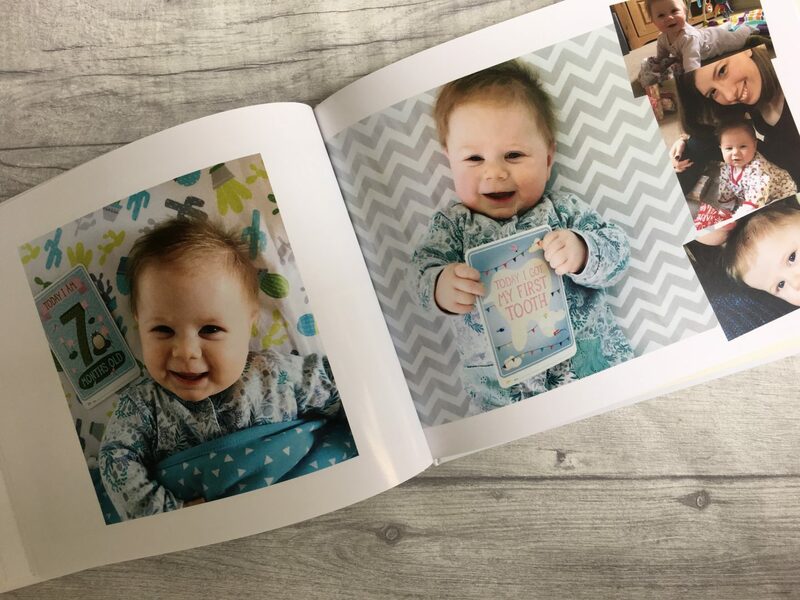 Once I’d chosen the photos that I wanted for each page, I uploaded them to Snapfish and simply dragged and dropped them where I wanted, editing as I went if I wasn’t happy with a particular combination of photographs. This method was actually really straightforward, and I’d estimate that I spent around 5-10 minutes on each double page spread. 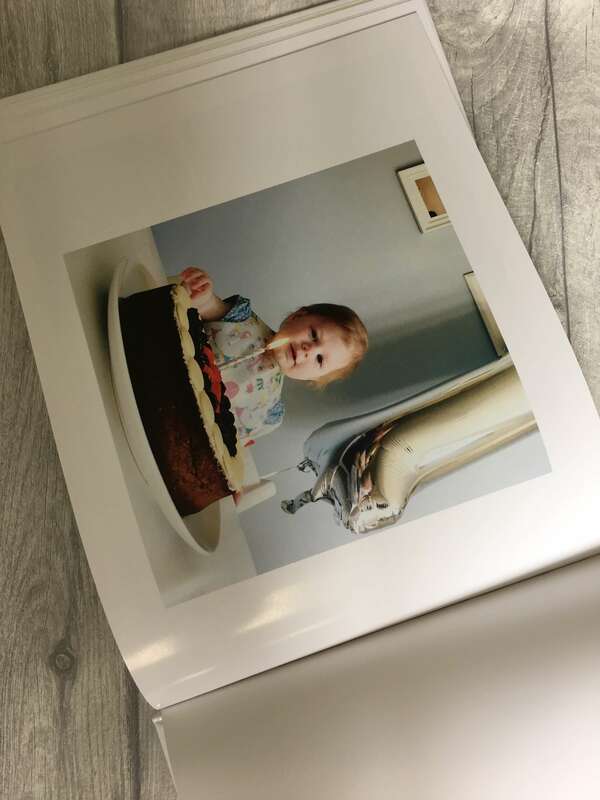 As you can see, the photo book has turned out beautifully and I’m confident that hubby will love it come Father’s Day. It’s something that we’ll treasure as a family and enjoy looking at for years to come! Disclosure: Snapfish provided me with a voucher to cover the cost of the photo book that I ordered. However, all opinions are my own. 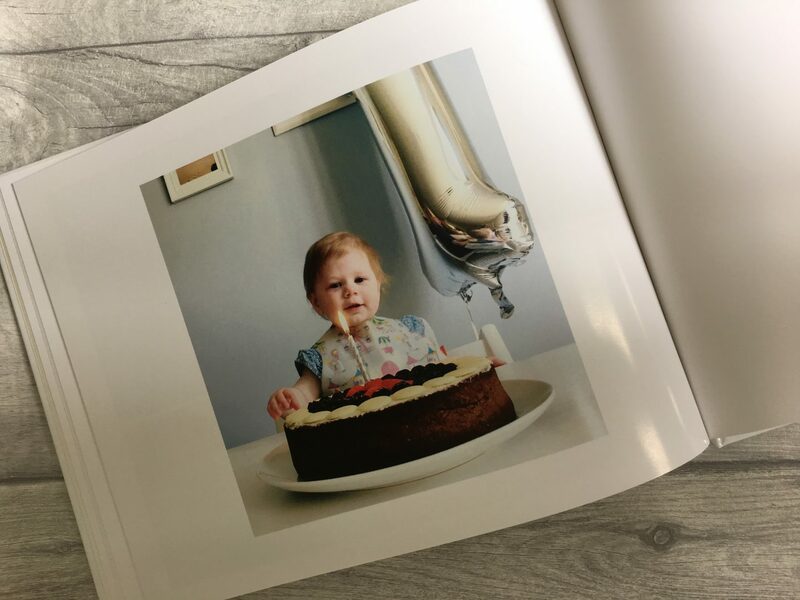 "Little M’s First Birthday Party"
That is such a lovely idea and a great Father’s day gift! Thank you. I’m really pleased with how it’s turned out. Wow, that book looks gorgeous and really professional. The photos look like they have come out really well too. I have ordered something similar for grandparents but it would make a great father’s day present too! Thank you. Yes, it has come out well. I’m really pleased; I just hope that he likes it!